Drafted to play for the Jacksonville Sea Storm, an NHL affiliate, 20-year-old Lane Courtnall's future looks bright, apart from the awkwardness he feels as a gay man playing on a minor league hockey team. He's put his foot in his mouth a few times and alienated his teammates. Then, during a rivalry game, Lane throws off his gloves against Jared Shore, enforcer for the Savannah Renegades. It's a strange way to begin a relationship. At 23, Poe Montgomery is going nowhere. He still lives in his father’s basement and spends most of his time tagging with his friends. When an arrest lands him in debt, Poe accepts the front desk job at Permanent Ink, the tattoo shop owned by his father’s best friend, Jericho McAslan. Jericho is nearly twice Poe’s age, but with his ink and prematurely graying hair, he quickly takes the starring role in Poe’s hottest fantasies. Awesome narration and wonderfull story! I wanted to jump. He made me fall. As a celebrity, I lived in the public eye, but somewhere along the way, I'd lost myself in the spotlight. Until he found me. Sam Rivers was a gorgeous, tattooed stranger who saved my life with nothing more than a simple conversation. But we were both standing on that bridge for a reason the night we met. The secrets of our pasts brought us together - and then tore us apart. Could we find a reason to hold on as life constantly pulled us down? Before even swearing-in, Julian Brand knew he wasn't cut out to be a soldier, but refusing wasn't an option. Generations of Brand man made careers in the military and the expectation of every Brand son was to follow in those prestigious footsteps. Though the prospect of being rolled back hindered his every step, he survived Battle Stations and did his time. Six years out of uniform and Julian still struggles to find familial acceptance as he fights to live life on his terms. On the surface, they couldn't be more different, but when Jared Ramos calls, neither are capable of refusing. If they can find a way to work together, they might be able to save a friend and each other in the process. I really enjoyed this story this is my first introduction to this author and I can't wait for his next installment of the series. the storyline was compassionate funny and entertaining, it shows the sacrifices of soldiers coming back from the most the difficult part of their lives and their resilience of those solider who come back broken and the people who loves them help them through it. I highly recommend this story and author. 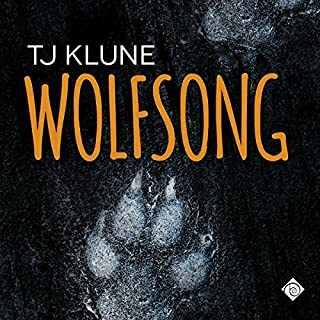 The audiobook begins with a prologue – a quick explanation of where the characters fit in other series written by the author. A quick reminder for fans, no big deal if this is your first foray into her work. Then there is a short story which starts this new series. In ‘Micah’s Soldier’, Garrison is coming home, not expecting anyone to greet him. He is facing what many soldiers do – no teary reunions, no families to embrace them – just an empty life to return to. Garrison isn’t expecting any welcome, but when it comes, he knows who to blame – or who to thank. This short is heartwarming and dovetails nicely into the novel. In the first chapter of ‘Treading Water’ we meet Jared Ramos who is starting a charitable foundation to help vets coming back from overseas with physical and emotional problems. This is a very timely discussion that needs to be had. For almost 20 years, the US and other coalition countries have been sending their very best soldiers – often young and naïve men and women – into horrific situations for which they are not prepared. Even those who manage to come home without physical injuries have psychological problems and this is often where the government fails these brave men and women. Jared, and his new assistant Aiden, aim to do everything they can to help. I didn’t read the blurb first and therefore was surprised when the story moved forward without these two, but I suspect their stories will be told later in the series. Enter Sean. The young man, injured in a freak accident on an aircraft carrier, is now in the hospital. He’s going to survive, but his physical recovery is going to be tough and the results are uncertain. His cousin Julian, along with Sean’s friend Shane, race to Sean’s side. Sean and Julian are as close as brothers. Military service runs through the Brand family, but Julian wasn’t cut out for soldiering, instead is working hard to set-up his own Bed and Breakfast in Florida. Shane has also been injured and is facing the precipitous end to his military career with two years left to go. Shane and Julian, in their concern for Sean, turn to each other for comfort. But with one man clearly destined for home &amp; hearth and the other notorious for his one-night stands, how are they going to make it work? As well, Don’t Ask Don’t Tell might finally be history, but that doesn’t mean every gay officer has suddenly decided to come out. This book challenges the reader to face the reality of what our soldiers face every day. We expect them to keep us safe, then we often fail to care for them when they come home. Having Sean as such a strong presence in the book helps bring that perspective into sharp focus. In fact, there are three alternative POV’s – Julian, Shane, and Sean. Although Sean isn’t part of the romance, his story is as important. A perfect ending – with a few lovely surprises – again dovetails into the next story. Jared and Aiden bring another soldier out to stay with Julian and Shane. From the quick glimpse, it is going to be a heart-wrenching story and I can’t wait for it. The audio recording is another issue altogether. The narrator, Casey Hunter, does a good job, but there are large pauses right in the middle of scenes. There are no POV changes or anything else to account for these weird pauses. Also, there is no pause between the chapters. The narrator says the last line of the one chapter, announces the next chapter, and begins the next chapter – all in one breath. It is jarring and irritating. Not enough to reduce the power of the story, but definitely enough to reduce the enjoyment. Andrew Reyna is listed prominently as the producer, so I’ll put the blame at his feet. I hope these issues are resolved by the next project. This wonderful book is timely while not being preachy. Can’t wait for the next one. Audio - First time listening to this narrator Casey Hunter. He did a good job. There were a few times I got a little lost and wasn't sure who was speaking to whom (which might have just been me being distracted). But going back to re-listen wasn't a huge deal for me. I still think he did a good job with everyone in both stories since there was a lot going on in a short amount of time. I would definitely be ok listening to this narrator again. These two books are simply fantastic, amazing, heart filling, and just beyond well written. Micah's soldier is a quick read but is no less amazing for it's shortness. It is emotional and wonderful (you'll laugh at the leaning incident). Now, for Treading Water. You might find yourself wondering why the beginning of the story seems to focus on Jared and Aidan but there is a reason behind this (at least I think so). This lays the foundation on why this case is so important to everyone. Shane and Julian will instantly dig their way under your skin and you will be cheering and crying for them. Key West is described so well that you will swear the sand is between your toes. And can I just say how much Sean touched me? Now, is book 3 ready? Please!!!! The quick story in Micah's Soldier was a short, cute read and the narrator that did it did a wonderful job. I loved the Treading Water story but the narration flopped for me. 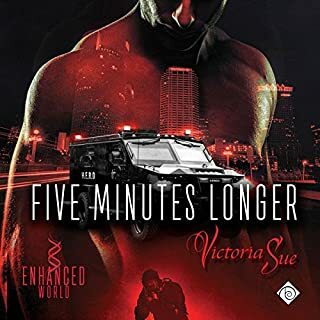 Between hearing saliva smacking sounds and papers rustling in the background then odd pauses and then starting a new chapter with no pause at the end of the last one I had to push myself to finish because it was so distracting. The first story, Micah's Soldier, is a sweet second chance romance of two wonderful characters, Micah and Garrison. Micah's unwavering dedication, love an support for Garrison is incredible, even when he thought Garrison didn't want him anymore. Their reunion is beautiful an heartwarming, wish we had more of their story. Treading Water is another spectacular story that I loved. At the beginning I thought the story was about Jared and Aiden, but then it segued into Julian and Shane. Hopefully we'll get Jared and Aiden's story soon. Julian is such a loving and beautiful person. He is perfect for the rugged, emotionally challenged Shane. They are a spectacular couple and I love watching their relationship grow. It is great to see Shane slowly open up more and more with Julian. The unwavering support that Julian and Shane provide to Shawn is incredible and adds so much strength and integrity to these 2 characters. The narrator was very good for the most part. I gave him 4 stars simply because there were some pacing issues and sometimes it was hard to distinguish between the characters. But overall he was great. I highly recommend this book and can' wait to read more from Jessie G.
I was provided a complimentary copy of this audiobook at my request. Loved both the story and the Narrator! I loved the story when I first read it. Listening to Casey Hunter narrate the book made me love it even more! There were a few times I have to rewind my audio as a few of the voices weren't distinct enough for me, but I knew the story well enough to know who's POV we were supposed to be in. It didn't take me out of the story or the narration. I did think the time between the end of one chapter and the beginning of another moved too quickly. We didn't really get to absorb the last line before the next chapter started. Other than that I have no complaints about this audio book. Jessie G is an author I love and I would listen to another audio of her books. 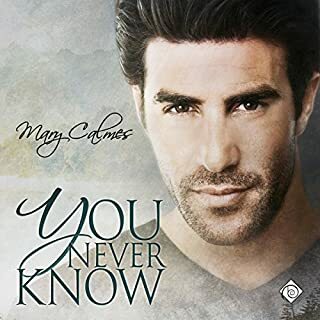 This audiobook includes the first two books in Jessie G's Forgotten Soldier series, and they are wonderful. The stories are tied together by their involvement with a new foundation set up by Jared Ramos and friends. The foundation was set up in order to provide for the needs of military members who are not fully helped through normal channels. First is the short story, Micah's Soldier. We meet Marine Garrison, who is returning from his final deployment with expectations of solitude and loneliness since he pushed his loving boyfriend Micah out of his life years ago. Micah, meanwhile, has kept up with the man he still adores and has a surprise planned for Garrison. The second story, Treading Water, revolves around Sean and Shane, who became like family in the Navy, and Sean's cousin Julian. Sean has been seriously injured, and Shane and Julian come together to help him heal and learn to live in his new situation. While pulling together to provide support for Sean, the other men begin to fall in love. This is a sweet and sometimes heartbreaking story about the growth of all three men. The writing is strong, the characters are believable and honorable, and the narration just adds to the the greatness of the stories. This is excellence! This is a powerful short story that tells so much more than what you hear when you read (or listen). Even though it’s only about 6,000 words, there’s a lot of emotion packed into them-enough to have made me cry. My heart broke for Micah and Garrison both—and Micah’s unwavering support of Garrison (even when he knows Garrison doesn’t want him) is moving and part of the reason my heart was hurting for both of them. I was thoroughly entranced with their story, anxiously awaiting to see what would happen. Micah’s Soldier is an amazing start to this series, and I am so very much looking forward to reading more of these stories. 5 very emotional stars for this story filled with heavily concentrated emotion—I can pretty much guarantee that if you read this, you’ll be clamoring for more as well. Talk about a story to tug at your heart...Treading Water was everything I've come to expect from this author, and is a perfect example of why I read her books. It has the ideal balance of serious and emotional while giving the reader a realistic, if abbreviated, insight into the issues facing military personnel. Not only do we get to enjoy Julian and Shane's journey to each other, but we also get an inside glimpse into Sean's turmoil as well as his revival. When I first started the book, I thought I might have gotten my characters mixed up as Jared and Aiden are front and center, but then it transitioned to the real stars of the story after the background and setup (oh, but please tell me we'll be getting more for Jared and Aiden...please!). Julian is so sweet and an emotional person, with so much capacity to feel. Shane is the opposite, keeping things quiet and inside, controlling his emotion instead. Perfect complement? Definitely. And their physical attraction and strong chemistry added in makes for the complete package--as long as Shane is ready to hop off the hookup mentality. Then we also get to follow along with Sean as he is adapting to his new reality, and honestly following along with his part of the story doesn't at all detract from the relationship development between Julian and Shane. Sean is the reason the two of them had the opportunity to come together, so having his story included fit well with the rest of the story for me. The writing was excellent, clear and concise while easily conveying what all three men were going through. Everything flowed so smoothly that I didn't realize the time passing as I read. I was quickly pulled in to the story from the start, and was fully engrossed until the very end. I loved Treading Water, and it's getting a full 5 stars from me. I highly recommend this book to any M/M romance fan, particularly if you love stories involving military men. It does set a good stage to continue on with more stories, and I'm hoping we get to see a lot more from this series going forward. This book is meant for readers 18+ for adult language and sexual content. The narration: This was my first time listening to Casey Hunter as a narrator. He did a good job with the characters’ voices, conveying emotion well. The overall pace of the story was good, however there were many times when pauses occurred that for me interrupted the flow of the narration, making it sometimes sound stilted or uneven. In addition, as soon as a chapter would end the words “chapter X” would immediately follow the final sentence of the previous chapter without even a breath in between which, in contrast with the erratic pauses, made it sound rushed. Regardless of the pauses and chapter changes, the narration as a whole still helped bring the story to life for me. 3 stars for the narration. First, I want to talk about the narration, it was actually quite good but there were strange pauses, too long stops and then really fast transitions to the next chapter. I feel like most of them are narrator inexperience but also things that could have been resolved with editing. It was hard to focus on the book when these pace issues kept disturbing my concentration. The short story that started the book was cute, sweet and nice and I liked it. It had delicately placed depth which I also liked, and I was hopeful for the full book. However the main story started out one way and then it changed in a way that was confusing, first we had Jared and Aiden and I thought the book will be about them. They were interesting and appealing characters and by the time I fell in love with them and was expect we had a fast, confusing shift to Shawn’s injury. With Shane and Julian jumping in to help him the story was suddenly about them as a couple. I really thought I accidently jumped ahead and missed some parts of the story, it was that unclear to me. I feel that the plot was a bit indecisive, and the narration issues really emphasized it. They were going back and forth from Julian not wanting a relationship to wanting one, I just found some parts hard to believe within the story world and it affected my ability to enjoy the book. Some parts were also a bit too easy or cliché-ish, like Shane’s parents and their religious views on him and Shawn, that were just a bit of added drama. Shawn is a refreshing character as an injured soldier with a life altering injury. I also thought the way the author chose to show his injury and subsequent problems, how his life changed, was realistic, without sugarcoating it and making him a martyr. He had a tough road and even by the end of the book it is clear he will always struggle. I feel like there were really good parts and interesting representation of soldiers and gay men but then all the rest just cut into those. Maybe this needed to be two different stories, because they feel like that, two stories that did not mesh together well. Wow, I loved this story and will be reading/listening to more of JessieG. The story flowed quite nicely and you got a feel for all the characters and what struggles they go through. I am looking forward to more in this series.. The only real gripe I had with this audio is that there was no pause between the end of the chapter before the announcement of the next chapter but this does not stop you from enjoying. What wonderful stories. Having read Micah's Soldier I was really looking forward to listening to that and Treading Water. Jessie brings her characters to life with their thoughts, emotions and interactions with each other. The world created in these stories is an extension of her Sizzling Miami series. Jared covers Miami and Forgotten Soldier as well as quick appearances from Bull, Red and their family. Micah's Soldier is a quick read/listen but is full of emotion and experience from both Micah and Garrison. You are pulled in quickly and rooting for the couple to come together and be strong enough to support each other through what's to come. Treading Water is a new story for me and I really enjoyed it but struggled on two points. Shane and Shaun are very similar names and through audio it's easy to get the two muddled up. Also what detracted from truly enjoying the story was the narration. Andrew is a good, clear speaker but there wasn't any inflection or accent to differentiate between the characters. I sometimes found it hard keeping up with who was talking within conversations. I adore the way Shane and Julian come together for their best friend/cousin. The way their relationship blossoms feels very natural and flows through the pages. The support that they offer each other leads to them growing even more in themselves. Shane is still in the closet at his navy job but Julian could possibly be the man that he wants to be his true self for. 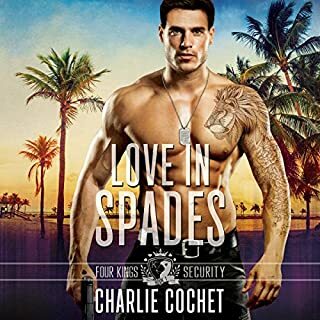 Julian has been happy running his B&amp;B on Key West but meeting Shane leads to him wanting so much more in his life and willing to put in the work to get both Shane and Shaun happy in his home. Shaun is a strong character, fighting for himself and the life he now finds himself living. You're quietly rooting for him with regards to his health and love prospect in Esme. I'd definitely recommend the book(s). Looking forward to the next release from Jessie G. I would advise listening to a sample of the audio book before purchasing to ensure that you fully enjoy such a great book and are happy with the narrator throughout the book. I received an copy of this book from the author in exchange for an honest review. After 18 years in the US Navy. Shane Parker realises it’s time to leave. I like this character. He has a depth that is so very well thought out. Julian Brand Knows he not made to be a soldier, even with his family background.its what they expect.he has been trying to live his life how he wants too. A phone call to them both about a friend they both have. Needs help. Can they work together? Plus how they feel about each other. What a fantastic book. This is the first book by this author that I’ve read/listen to, it won’t be the last. The details to every character is wonderful. Also the background and main story. Beautifully put together. I’ve never listen to Andrew Reyna.Casey Hunter whom was fabulous in each character. If I could give it more stars I would. Highly recommend. 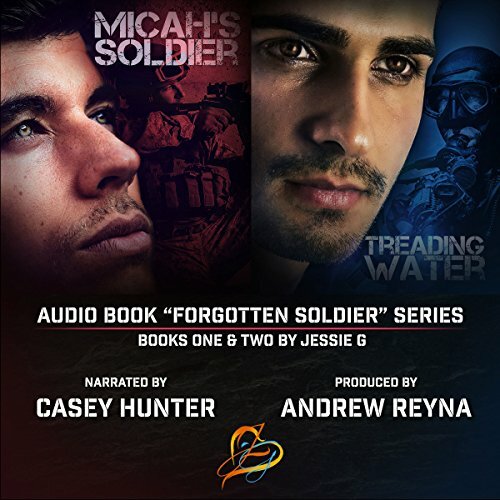 In this audiobook you get the short story, Micah’s Soldier and Treading Water. Micah’s Soldier is a lovely homecoming story that introduces us to the conception of helping injured and returning soldiers. For a short story there is a lot of emotions. I felt Garrison’s loneliness coming through when he thought no one would be there to meet him on his return. My heart went out to Micah still looking out for Garrison even though he had pushed him away. Very enjoyable narration bringing these two characters to life for me. The second story is about the start of the Ramos Foundation whose aim is to help the forgotten soldiers. The start of the story focuses on Jared Ramos and his assistant Aiden. Together they are getting the Ramos foundation up and running. The story then switches to their first case. Sean who was injured during an accident on an aircraft carrier. The foundation call Sean’s cousin Julien and friend Shane to help his recovery. As much as I wanted to I didn’t quite feel the relationship between Julien and Shane. They were together a lot because of Sean but I didn’t feel the spark between them. Maybe it was because I was getting confused during the story between Shane and Sean. Their names sounded similar to me listening to the narration and I got them muddled at times. Other listeners might not find it a problem. I’ve not listened to anything by Casey Hunter before. I liked the way he approached the story. I had a good sense of the characters and their emotions so I’ll look out for him again. The first story was very short, but it certainly packed a punch. As it was short, there was little room for the development of characters, but it was a well put together story and set up the second novel nicely. The second story brings together Shane and Julien. Sean, who is Julien's cousin, has been trying to bring his best friend and cousin together. His chance comes unexpectedly, when he is injured, and the two men come together to help him. Shane and Julian were a perfect match for one another, there was some angst, but the conflict was in their own heads, they fought through it together and were free to be together. I loved the strength and commitment shown by both men, and how they set out to help Sean. The narration was good, and managed to convey the various emotions experienced in the story. My only problems were the similarities between the name Shane and Sean, when they were talking it was easy to mix up their names. I did enjoy it though and would certainly recommend. Looking forward to the next in the series.